Enter the Email Address associated with your Box account and your Password in the corresponding fields. Click or tap Sign In. Also, check the spam folder in your email client, as it may have been sorted there by mistake. Log in to your Google Account as you normally would on the Google account login page. If you are unable to log in because your Google account address does not match your Box account address, you will need to change the primary address associated with your Box account. Sign in with the email address you currently use with your Box account. If you do not know the password, you can click or tap the Reset Password link on the login page. Once you are signed in, change your primary Box email address to match your Google account address. You can find instructions here. 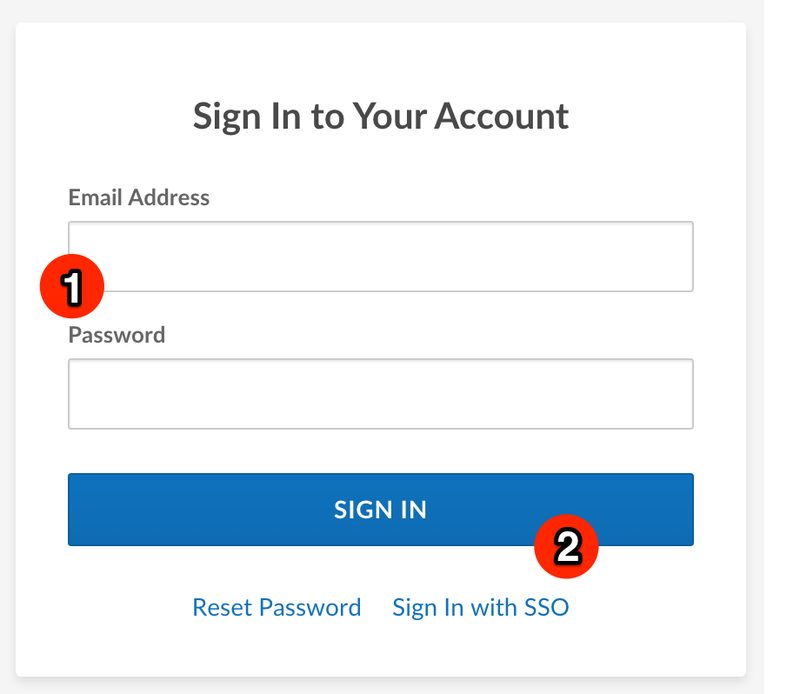 If you're using Single Sign On (SSO) through your company or organization, you can log in to Box using the same password you use to log in to your organization's network. Click or tap Sign In. You will be redirected to your company's login page. You'll be automatically redirected to your Box account once your account is authenticated through your SSO provider. 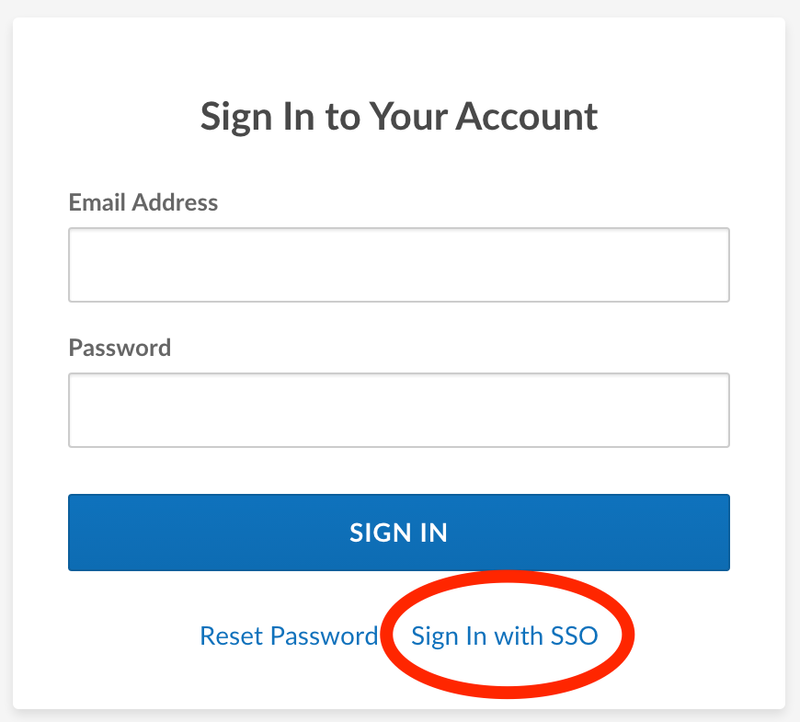 If you have any questions about SSO or don't know the username and password you should use to log in to your organization's network, please contact your Box Admin. For information about logging in with SSO on mobile devices and applications, see Single Sign On (SSO). Two-step verification (sometimes referred to as two-factor authentication) is an additional layer of security to protect your account. The second factor (the first being your password) is typically a code sent to your mobile device via SMS or a voice call, or accessed from a security application. This code is entered after you've entered your username and password to further verify your identity before granting access to your data. Two-step verification can be enabled by you or your account administrator. If two-step verification is enabled on your account, you'll be asked to enter a passcode after you've entered your username and password. For information on enabling two-step verification in your account, see Account Settings: 2-Step Verification. Enter your email and password as usual. You will be redirected to the Two-step verification screen. Enter the passcode sent to you via SMS and click or tap Submit. If you didn't receive a code, click or tap Resend Code. Please make sure that you signed up for a Box account and not another service. Please make sure that you are using the correct email address associated with your Box account to login. Please make sure you are using your proper Box password. If you cannot remember your Box password, please go to https://app.box.com/reset to reset your password.